Today we have something cool for the electronics buffs out there. 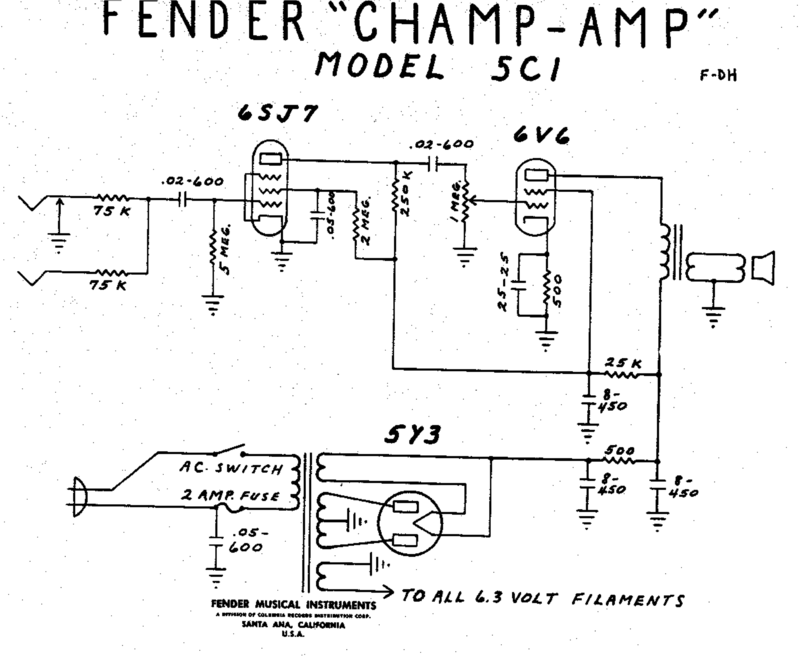 We are featuring a wiring diagram and layout for a 5C1 model tweed Fender Champ. These are the same diagrams that are available all over the web. If you look closely at enough of them I swear they all came from the same scan. Everyone I’ve ever seen online is crooked in the exact same way. Check it out for yourself. Its quite funny. If anyone has a straight version they’d let me use I’d appreciate it. 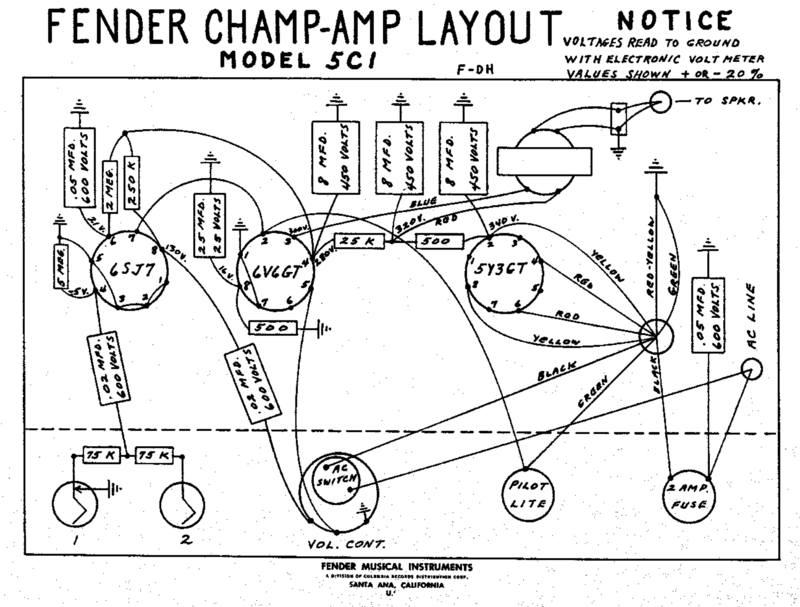 This is the same circuit design on the Champs from their introduction in 1948 as the Champion 800 through to the Champ Amp 5D1 model. Note the use of a 6SJ7 preamp tube. This was used in the 5B1, 5C1 and 5D1 model Champs. This changed to the 12AX7 in the 5E1 model around 1955. It’s amazing that so few components can produce so much tone. I love these old schematics and wiring diagrams. There is a very artistic way about them. It’s technology and art. Totally agree with you Scott!